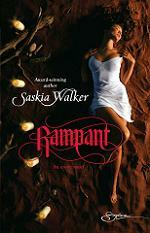 THE NAUGHTY LADY FROM SHADY LANE: Exciting news for RAMPANT! Thank you so much to those who nominated my novel! Aha, in that case I'm holding you responsible! :) Thanks so much Monica, I'm still grinning about it now! I did see your blog there and cheered. Much deserved. It's such a great place for readers and writers to visit and you make it a lot of fun to hang out there.